Expectations of Motherhood: When I got pregnant I was quite aprehensive about becoming a mother. People constantly told me that my life was going to change and would never be the same again (which really didn’t help matters!) I was pretty happy with my life as it was so why would I want it to change? – But, I had always imagined myself as a grown up person with a family at some point, and suddenly I was 34 and a grownup and no where near starting a family. I was not yearning for a child, I was just conscious of getting older and not wanting to lose my chance, or go through the heartache and stress of trying unsuccessfully for a baby. I imagined having a new baby was going to be like looking after a little grub that needed fed and cleaned and screamed all the time and I would be knackered and didn’t have enough time for my relationship, but that somehow I would find this fulfilling. Reality of Motherhood: My life has not suddenly changed beyond recognition, it has slightly altered in many ways. The experiences I have been through in the last 7 weeks, from the birth to getting to grips with breast feeding have made me braver and stronger. I think I am lucky, Oscar goes to bed at 7:30pm and sleeps right through until 4:30am when he wakes for his night feed – so, although I don’t get lazy morning lie ins I am not having sleepless nights. The most remarkable thing, and something I did not anticipate is that Oscar had a personalty right from the beginning, so he is not a grub, he is a cool wee dude who has moved in with us! My life changing has forced me to evaluate who I think I am and I’ve found this empowering. Yes this is a new chapter and life will never be the same, but this is exciting, I am a woman now and I can be whoever I want to be. 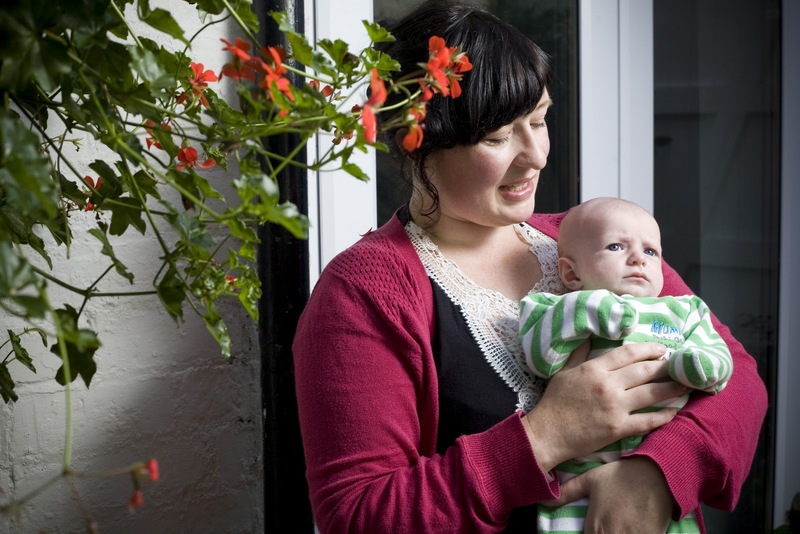 Taking your child/children home for the first time: What time do you put your new baby to bed? We had no idea and so the first night we all went to bed at 11pm and he slept through until 9am. What did he want when he was crying? Through a process of elimination (nappy? food? sleep? cuddle? wind?) we would try and figure out what he wanted. We didn’t have a clue really, but it was our job and we just tried to muddle on through. The best/worst advice: A leaflet for Infacol was a godsend: For the first few days he would be writhing in agony after feeds with stomach cramps, but after we got some Infacol he could burp and we were all much happier. At 3 weeks my mother in law came to dinner and suggested (gently) that we start putting him to bed at 7:30pm, which gave me my evening back. She said not to wait until he was asleep in my arms but dictate to him when bed time was. It took one evening of upset and now 9 out of 10 times he is asleep (and snoring) by 8pm. The hardest part of being a mother: He is completely dependent on me for food as I am breastfeeding, no matter how I feel – he has to eat. The day is broken up into two hourly cycles for feeding and sometimes just trying to get out of the house can take ages. When I can’t stop him crying, but his dad can – just because he is a new face and a change of scene. The best part/s of being a mother: Big smiley gummy grins first thing in the morning when I help him stretch his little body out of his swaddle blanket. The funny expressions he has, his drama queen crying and how I can cheer him up out of it. Getting a really good burp out of him after a feed and when we work on it together! Getting to know him and his idiosyncrasies. Looking at him while he is asleep and imagining what he will look like when he is a little boy and not a little baby. Feeling my love for him grow day by day. Hopes for your family: Oscar is our first and I hope to have a second child in 3 years or so. I just want him to be happy, healthy and confident. I am so happy we now live where we do, he has the great outdoors to discover and beautiful thriving nature everywhere to explore and romp in – just like we did when we were both children. 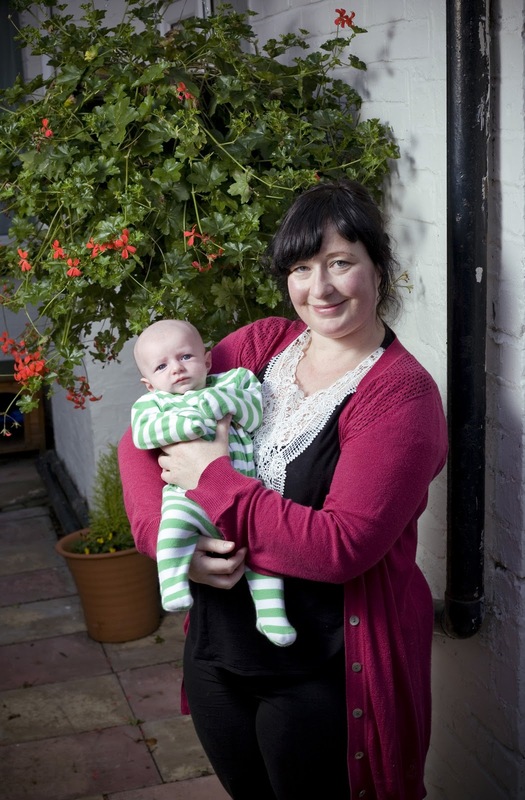 What advice would you offer to new and expectant mums: Don’t read any books! Don’t buy any baby clothes or toys (apart from newborn baby grows). Enjoy being pregnant, don’t rush the next stage, remember that being pregnant is all about YOU. Don’t get too hung up on your birth plan because when it comes to it – anything can happen.